Writer and permaculture enthusiast Emma Cooper & her husband Pete came to us for a very enjoyable visit last year. We had lunch which included roast chicken, roasted pumpkin sourdough bread and a foraged salad. Emma asked me afterwards for the method for making the dressing. 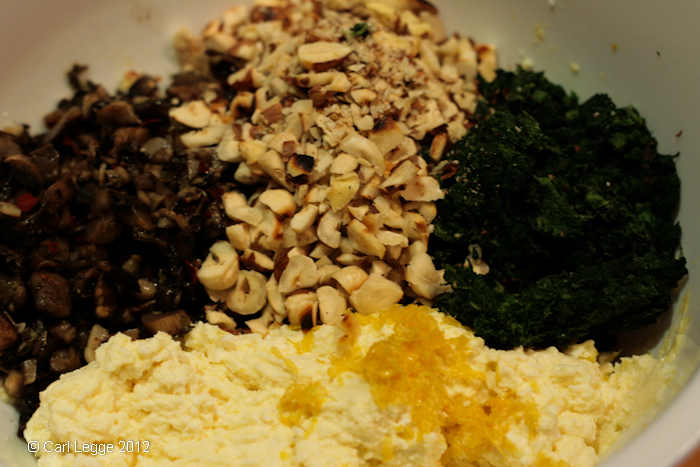 It’s taken me a while, but here’s the recipe for the basic vinaigrette I made. 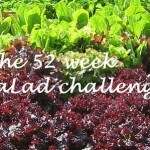 If there’ s interest, I’ll blog some more salad dressing recipes for the 52 Week Salad Challenge I’m taking part in. The aim is to have home-grown or foraged salad every week of the year. A good choice of dressings help to make the most of the harvest. The word comes from the French for ‘sour-wine’ – ‘vin-aigre’. 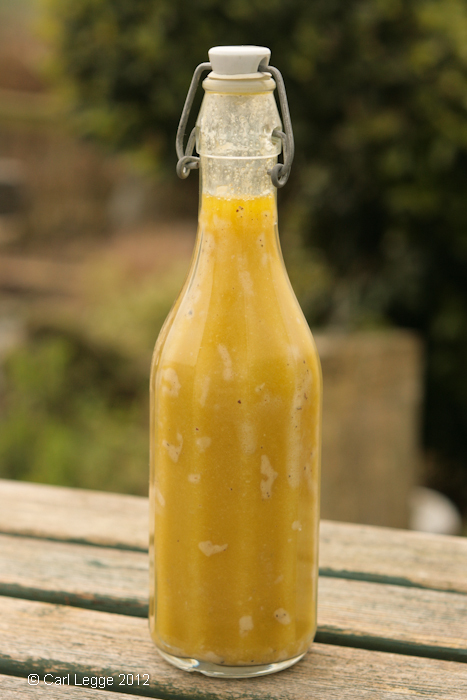 The essence of the dressing is the vinegar or citrus juice flavours the leaves. You combine the vinegarwith oil to help it ‘stick’ to the salad ingredients. This week’s Short and Tweet Challenge was a dream recipe for me. That’s because it gave me the chance to use so much home produced or foraged ingredients. The recipe was for Dan’s Spinach and Ricotta Pasties. 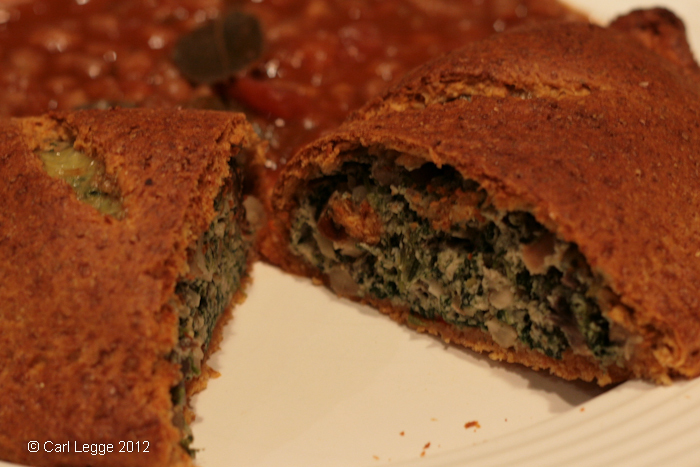 A gorgeous ricotta/mushroom/spinach/garlic/chilli/oregano filling is encased in a tomato & cheese dough. I changed the dough recipe slightly by using all wholemeal spelt flour. 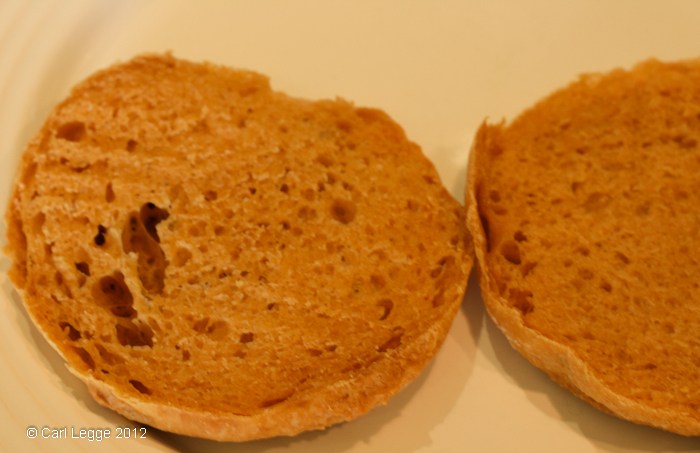 This was to intensify the colour and because I love the nutty/wholemeal taste of spelt. The dough was very easy to handle and Dan’s quick 10 second kneads make light work of it. I had great fun with the filling. I was able to use my own dried chillies and oregano both preserved from the 2011 harvest. Instead of ricotta I used brocciu I made from goat’s milk that I first used in this chestnut ravioli. Instead of the spinach, I used foraged nettles that I’d frozen from last year. In addition to those ingredients, I added 75g of toasted and chopped hazelnuts for taste & to give some crunch to the filling. Finally, I thought the mix could do with a little lift and so added the finely grated rind of an unwaxed lemon. I was delighted with the combination of flavours. The pastry was thin and crisp and with a lovely cheesy edge from the parmesan. The filling had complex flavours, which blended together beautifully. The nuts and lemon really lifted the filling from good to excellent. The pasties are incredibly filling. This may be partly because I used a wholemeal flour for the dough. I think you could easily make these pasties into smaller buffet size ones and make double the number of pasties. This will be a firm favourite in our house from now on. All I needed to serve with it was some home-made (and home canned) baked beans. Make these, they are delicious. Wandering through the garden today I was amazed at how much was in flower. 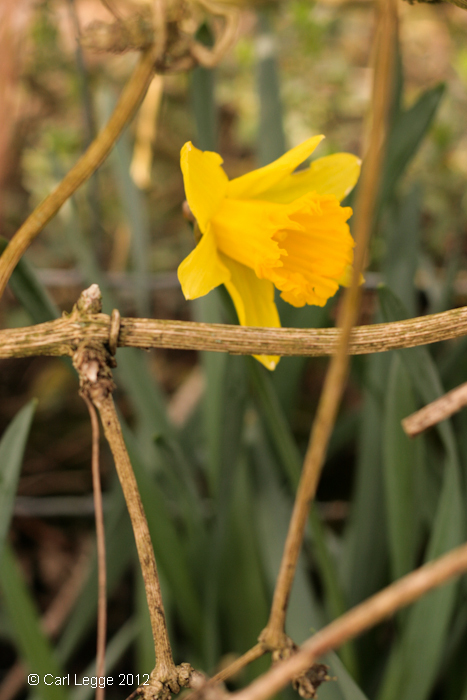 We’ve had a really mild winter so far, but cold is on its way and some of these flowers will not survive. How many can you identify? This is the latest in the Short and Tweet Challenge. I just love using spelt in baking. I add it to yorkshire pudding batter, shortcrust pastry and love it as a percentage in my sourdough bread. We’d made these cookies when we first got Dan’s book and loved them. This time I had a look in Niki Segnit’s wonderful Flavour Thesaurus for ginger companions. To my delight, cardamom came up as a perfect partner. I have a bit of a thing for cardamom as my rhubarb polenta cake recipe testifies. So we added half a teaspoon of ground cardamom to the recipe. 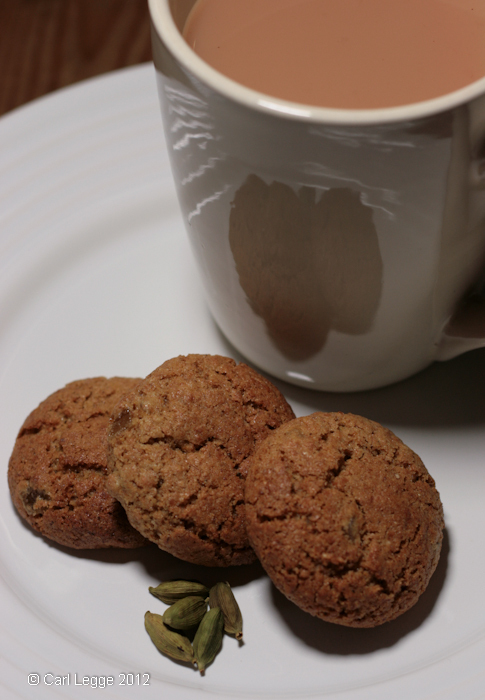 It gives a subtle warmth and complexity to the biscuit and partners well with the tea or coffee accompaniment. The only other change was to omit the 50g of caster sugar. We haven’t got hugely sweet teeth here and it worked out just fine. While researching ideas I checked online. Most of the recipes appear to be the same or similar to the Vegetarian Society recipe. To be honest, I wasn’t very impressed. It reminded me of the plethora of 70s & 80s standard ‘veggy’ recipes that tried to mimic meat meals and that all seemed to taste & feel the same. When I started cooking veggy in the 80s I got tired of seeing and tasting under-flavoured, under-seasoned ‘veg-mush’. My blogging friend Monica Shaw tasted one the leading brands of commercial vegetarian Haggis, McSweens and blogged about it on the Great British Chefs site. 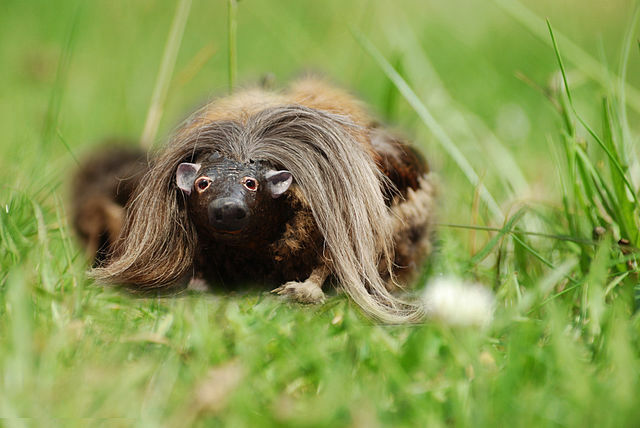 And it started a bit of a debate on Facebook about whether such stuff could legitimately be called ‘haggis’. I have strong feelings about this sort of “authenticism”. To avoid boring the folk just here for the recipe, I’ll return to this in another post later this month. 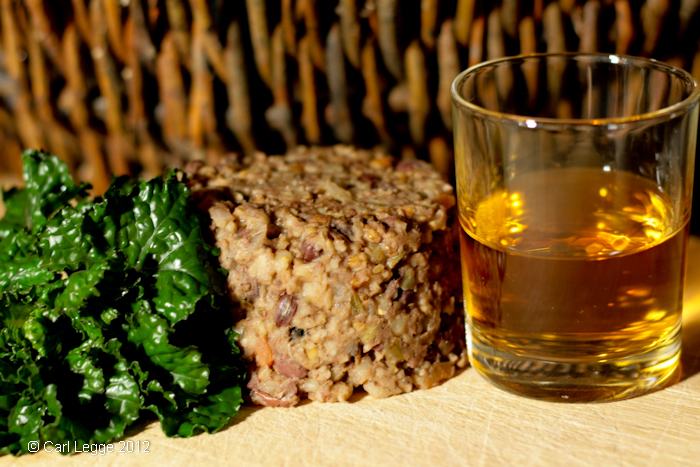 Some of the comments in the GBC Facebook discussion also commented on ‘veg-mush’ state of veggy haggis offerings. I tried hard to match the texture/feel of the meat version in the veggy version. The choice of the grain and pulses and their cooking is important to get this right. Most of the veggy recipes I’ve seen online don’t get this. In addition the oats and nuts are roasted for added flavour. The nuts are only coarsely chopped for the texture they give. Apart from the olive oil, there’s no added fat, unlike some of the commercial versions. I don’t think there’s a mouthfeel need for the fat, so I didn’t add any veg suet although I’d bought some in case. This makes a fair old quantity – about 2.7kg. I did this because there’s a deal of prep and the haggis will freeze well, so I’ll have some ‘free’ meals to hand. It’s probably not worth making much less than half the recipe. Another bonus of this recipe is that it is very economical indeed to make. The total cost of the 2.7kg is about £6 which means a 150g portion comes out at £0.33. I was very keen to have a go at this week’s ShortandTweet Challenge as one of the recipes was for these muffins. 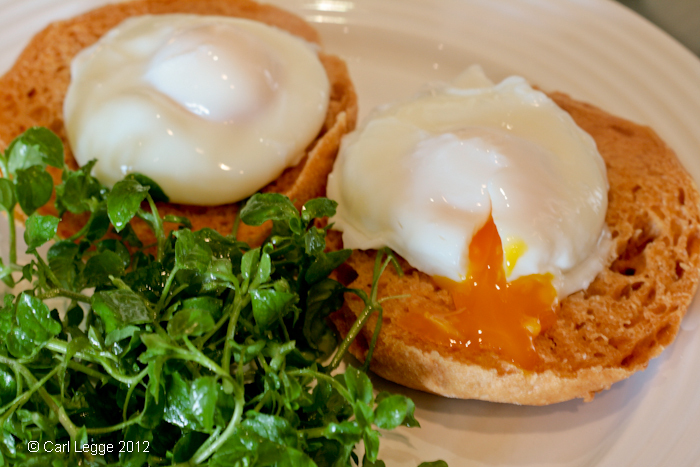 And that meant I could use our hens’ eggs in the recipe and the cider vinegar I had made earlier in the year. A bonus was the chance to incorporate some foraged salad garnish for the 52 Week Salad Challenge as well. The recipe for the muffins was a doddle. Mix the dough the night before and keep in the fridge. Then take the dough out in the morning, allow it to warm up and cook away. I was short of time (and hungry) so I abbreviated the process that Dan had written in the recipe. I took the dough out of the fridge and folded it. I then scaled and shaped the dough straight away into 9 muffins which I allowed to prove in a very low oven for a couple of hours. Cooking the muffins in a frying pan was a first for me. It was a bit fiddly to do, so the first muffins were a little misshapen. Batch 2 and 3 went much better. The colour of the muffins is striking. In Dan’s book the muffins are pearly white. Mine have this glorious saffron hue. I think this is due to the eggs from our free-ranging chickens. As you can see from the picture at the top, they have striking yellow yolks. The muffins taste just great. 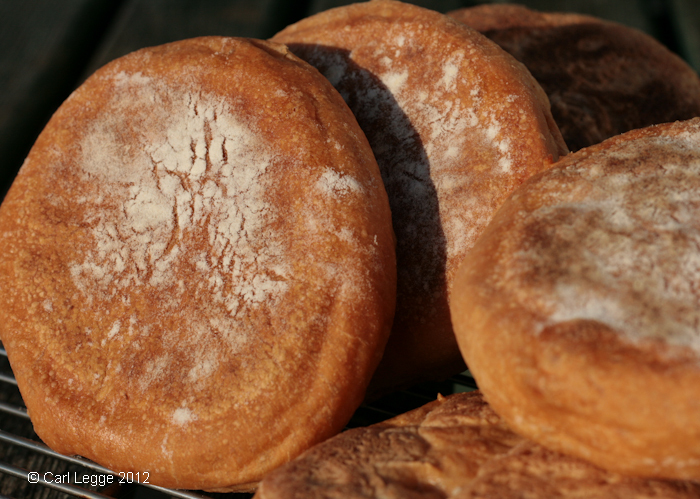 They have a nice crisp exterior and a soft interior which is just ideal for soaking up egg. I’m looking forward to some toasted for breakfast tomorrow with some cranberry and orange jam I made the other day. 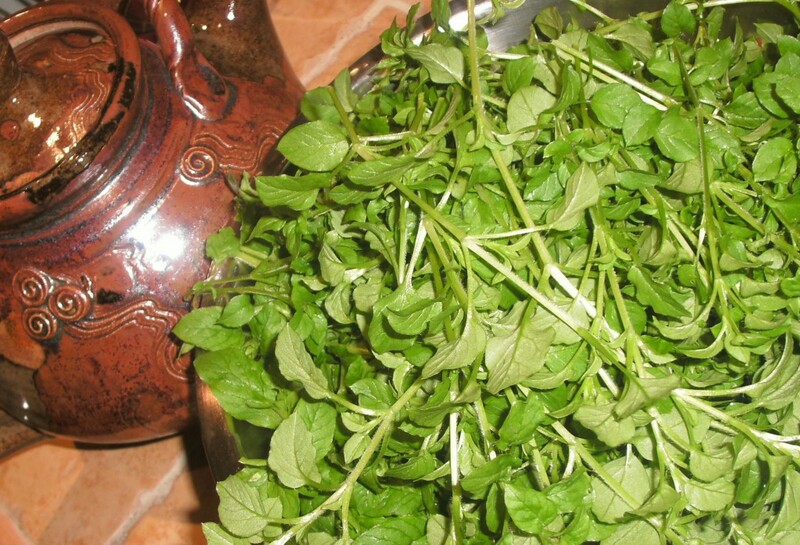 The chickweed salad came from some chickweed that we had picked 2 days ago. It was washed and keeps very well in the fridge. It’s a great foraged vegetable with a really good taste. To see what other stuff I have in the garden available to me see this earlier post on January pickings. All-in-all a very satisfying lunch indeed. 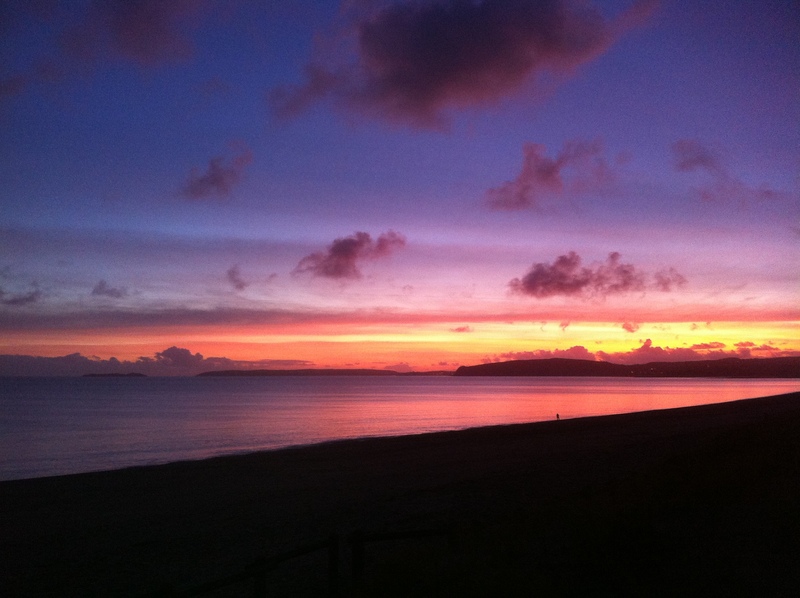 On our way back home tonight the sky was alight with the most beautiful colours. 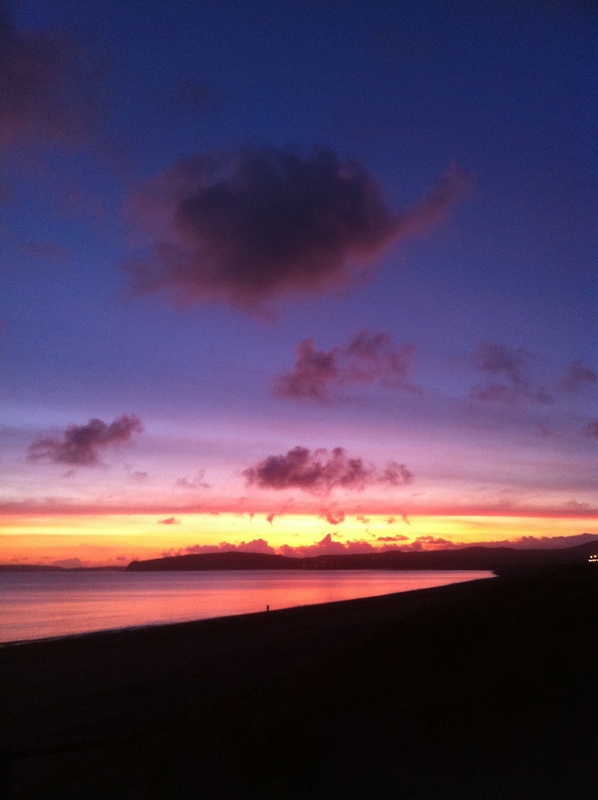 We drove down to the Promenade in Pwllheli to take these pictures from the beach. The dark lump to the far left is one of the St Tudwal Islands known for their wildlife. 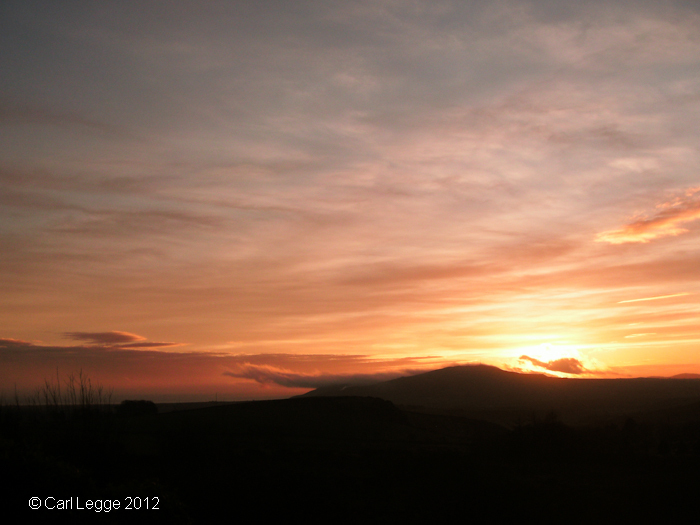 We often have spectacular sunsets: this was one of the better ones. 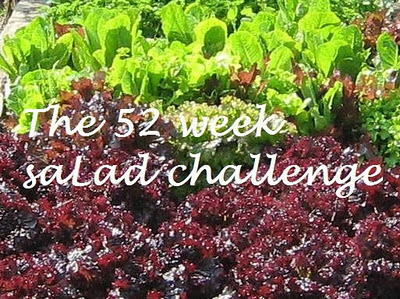 I picked a load of chickweed (stellaria media) after I took all the pictures for this post on the 52 Week Salad Challenge. It’s a very versatile ingredient. When at its peak like this it can be easily eaten raw and is also great cooked. As the plant gets older it can get a bit tougher, so strip off the leaves and steam them or sauté in some butter or oil. I used my bounty in two ways. First, it was an ingredient for some deliciously moreish and spicy pakora. Second, I used it in a simple carrot salad dressed with hot kalonji seeds in oil. 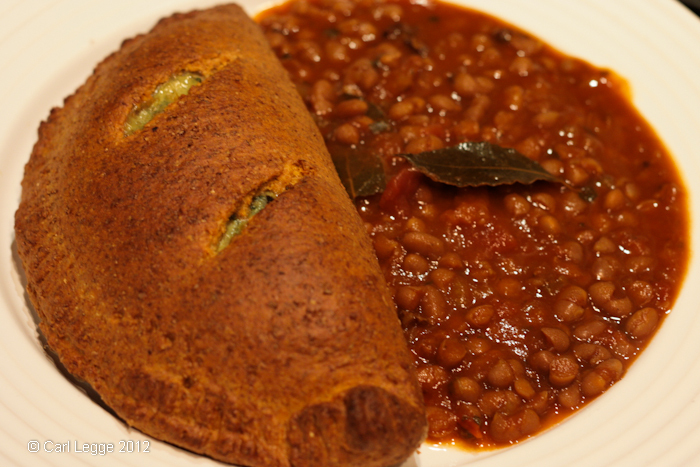 I served these with some fried, spiced mackerel for a simple curry feast.